Roll up to loading platform. Guide will greet you, or check with dispatcher. Up at 5:25. Packed up & loaded bus. Ate in mess hall. Left late because of refueling bus. Entered New Mexico, very foggy. Arrived in Cimarron 11:20, went to Philmont. Raining. Met Jim Mokri, Ranger. Got tents in tent city. Went to Trading Post then got tents & equipment. Ate both lunch & supper at Philmont mess hall. Heard "New Mexico Story" indoors because of rain. Went to bed. 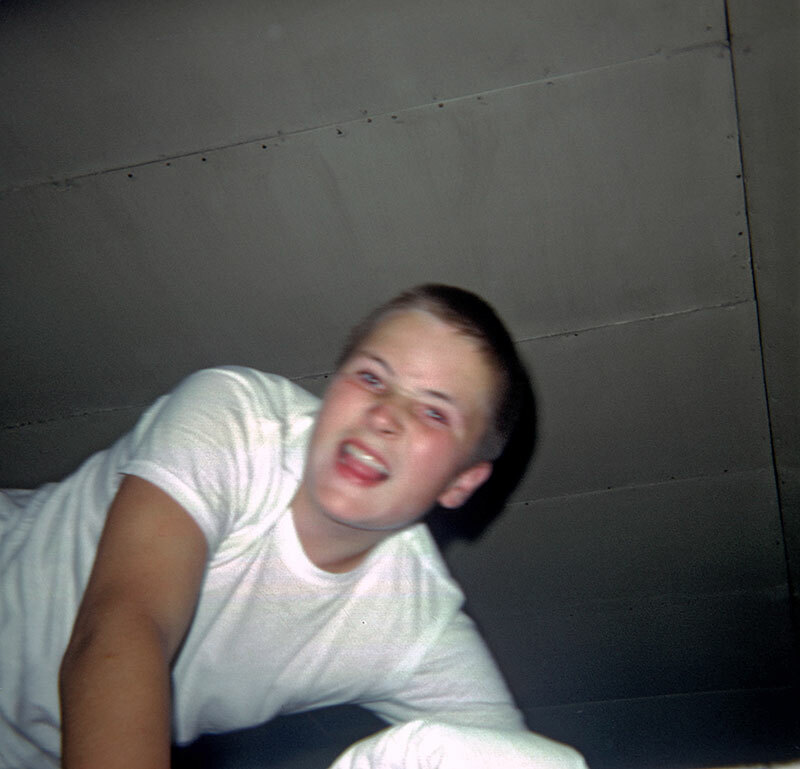 Tom Gavin up at the crack of dawn and ready for Philmont! Well, we made it there at last! 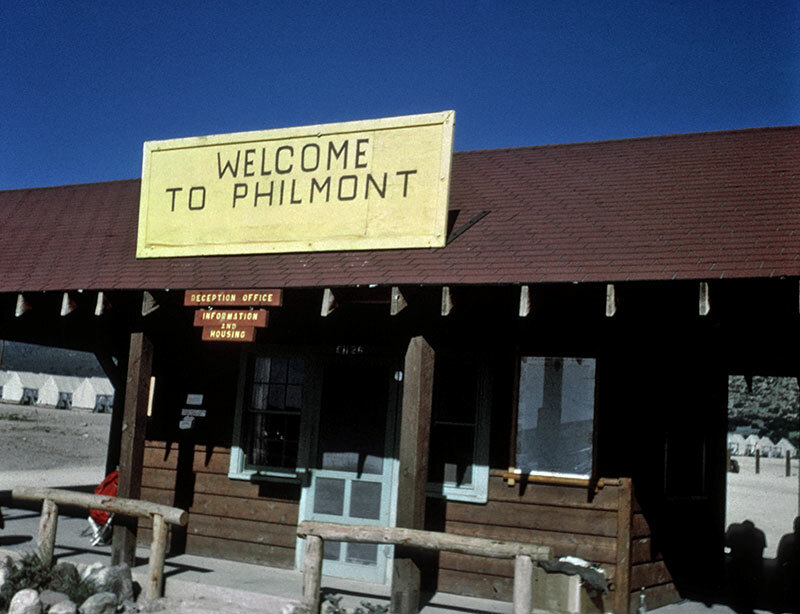 It had been quite a drive but we were finally at Philmont. It's funny how I remember the stop on the way at Raton. It seemed like the whole town was one block long, and the main feature was the bus station. There were all sorts of Indian items for sale - bracelets, blankets and the like - and it was very exotic for a bunch of New Yorkers. It was the closest we had been to the Old West so far. 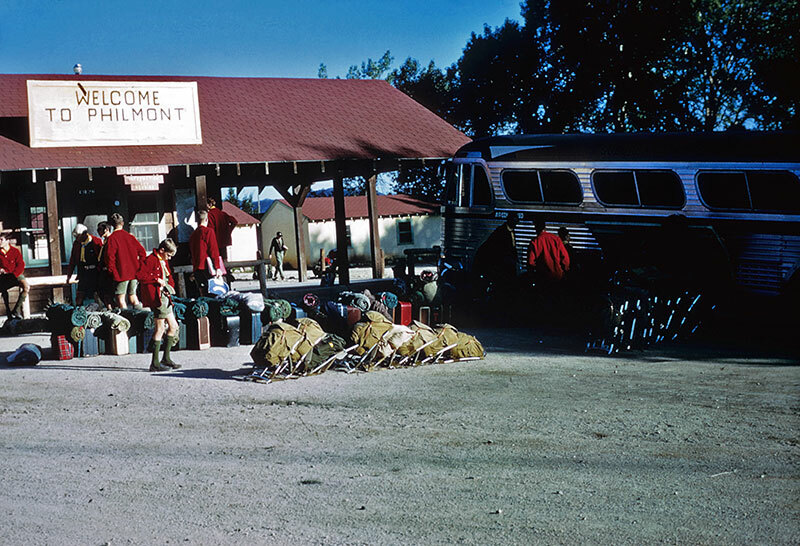 This is the bus depot at Philmont. We were quite glad to finally be there. It was finally time to get the back packs out of storage on the bus and to get ready for the trails. This is a view of the tent city at the Philmont base camp. Peeking over the hill is a Philmont trademark, the Tooth of Time. 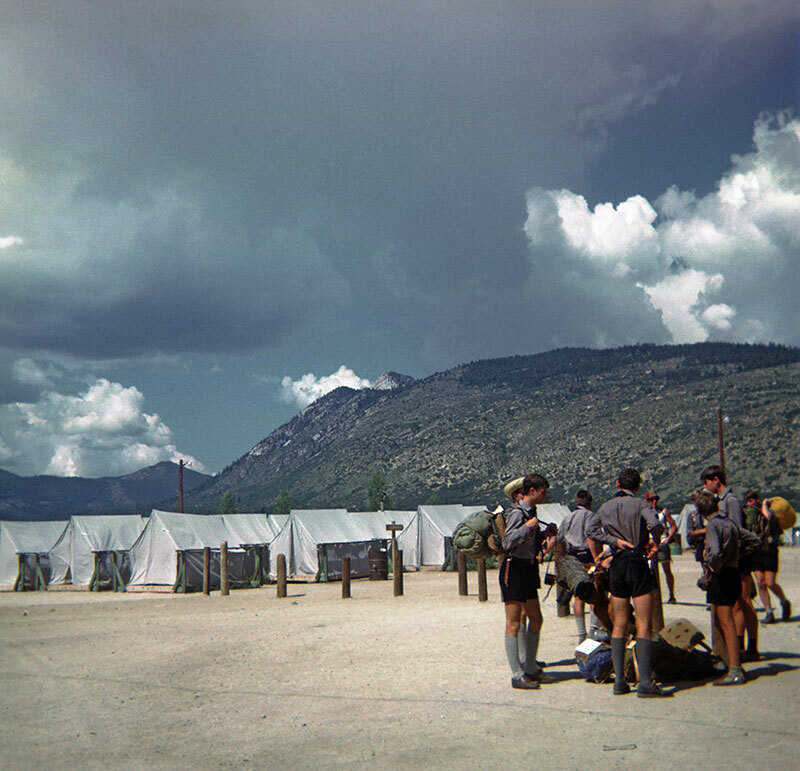 The Scouts to the right were there from Germany, and had been visiting the U.S. as part of the World Jamboree. While my notes mention rain, these pictures seem to show a pretty nice day, at least when we first got there. Tomorrow, we would hit the trail. What else is available on billcotter.com?